Kikko Corporation has this year entered its 40th year of business. 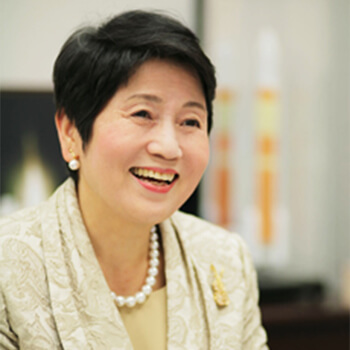 After retiring from the office of former Prime Minister of Japan Eisaku Sato, I was asked to help find employment for people who had lived overseas or were returning to Japan after a short period studying languages in another country. This was also an era when people were starting to discuss the issue of women's participation in society, and it was with the aim of providing opportunities to people who had studied languages that I decided to found the company. With your cooperation, we have now expanded into a company able to provide interpreting and translation services in 90 languages. We now not only provide interpreters and translators to media companies, we increasingly provide personnel on dispatch to various other companies, as well as support for the organization of international conferences, as we have expanded the scope of our outsourcing services. As we are entering a new era, it is important for us to transition to a management style that is consistent with the times. Above all, is also important for us to think about the future of our employees and, as I have always considered that personnel development is critical, both for companies and for the nation, I took the decision to hand over the running of the business to Withus Co. Ltd., a company providing educational services. I hope that this handover will, while focusing on fostering personnel who can contribute to society, lead to the accomplishment of even greater achievements by the company. I would like to ask you all for your continued support and assistance. 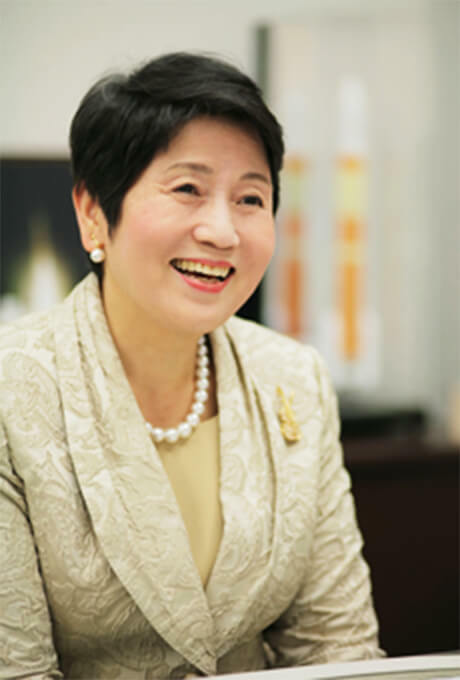 Ine Yoshikawa founded Kikko Corporation in 1979, with the aim of contributing to Japan's response to globalization, particularly through the provision of interpreting, translation and personnel dispatch services. This year, the company has entered its 40th business year and, as information becomes increasingly global, the company continues to focus its business on hospitality that joins people together in the international community. Thanks to the support we have received, we are now able to accept orders for the important work required to build trust, playing the role as an bridge linking people together not only through our foreign language service business, which includes interpreting and translation, but also through the planning and management services that support international conferences, conventions and other similar events. While leveraging the traditions and approaches of the Japanese people to place an emphasis on etiquette, we also train staff with an awareness of the rules, knowledge and manners required in international society, as we move forward towards realizing our goal of achieving true international cooperation that goes beyond the boundaries of language and culture. 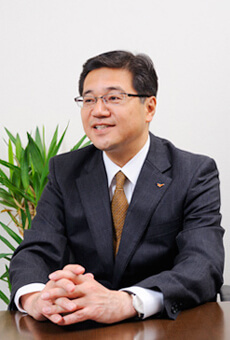 In August 2016, Kikko Corporation became a member of the Withus Co., Ltd. Group, a business providing educational services and listed on the JASDAQ market at the Tokyo Stock Exchange, and I was appointed as company's representative director and president, to continue the work of the company's founder. 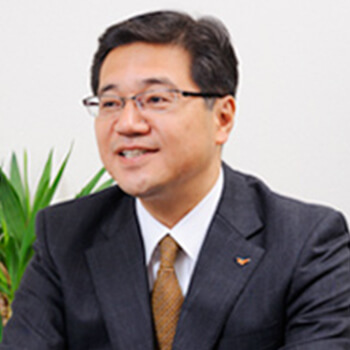 Although I am not a man of many talents, I am determined to do my best for the future development of the company. I would like to offer my thanks for the support and trust we have received so far and, as globalization continues to gather pace, we are determined to take firm steps forward, one step at a time, so that we can make a contribution to society by providing support for high-quality global communication over the next 50 to 100 years.